Click Here to get Your Audi Q5! So you've decided to seek out an Audi Q5 near Vancouver. Great! We're a little bit biased, but we believe that the Audi Q5 is simply the best SUV on the road today. With a look and feel that are just miles ahead of the competition and a price that doesn't break the bank, this is the vehicle for the person looking to take a running leap at the next step of their lives. With up to 252 horsepower and a trunk capacity of 1550L, no matter what it is you are up to, the Q5 has got you covered. When the time comes to pick out the Q5 for you, come and see us at Audi Langley. We are confident that if you decide to work with us we might just be the last place you end up looking for a new SUV. With our team of Audi enthusiasts at your side, you are sure to find exactly the right vehicle to suit your needs no matter what those may be. So, when you are ready, we are at 5955 Collection Dr. in Langley, or you can give us a call at 877-753-9552 to set up an appointment or a test drive! Enjoy complimentary Wi-Fi while you browse! The Q5 model of Audi is among one of the visually distinct models of vehicle on the market today. With sophisticated LED headlights and daytime running lights, the Q5 is runway ready no matter what time of day it is. While at the same time it boasts available 20-inch wheels and brushed aluminum inlays for those of us who really want to sparkle down Main Street. It all combines together to make a vehicle that is in a class all on its own. The Q5 doesn't skimp on features. Starting with available heated and ventilated front seats along with heated rear seats, it is ready for any and all conditions that might befall you. It also features an extremely versatile fold down cargo area in the back, so 'running out of space' isn't a feature we offer in many models. This is a vehicle that takes its drivers needs very seriously. No matter where you are going or what you are up to, the Q5 has you covered from beginning to end. When it comes to technology there are no vehicles in its class that can compete with the Q5's available features. A cavalcade of automation and information make it one of the most formidable vehicles on the road. From the impressive Audi Connect that leverages your smart phone with an app that allows you to interact with your car in unique and interesting ways on the go to the incredible Traffic Jam Assistant that analyzes the traffic situation and finds the best possible route through it. You may not believe it until you try it, but the future drives an Audi. 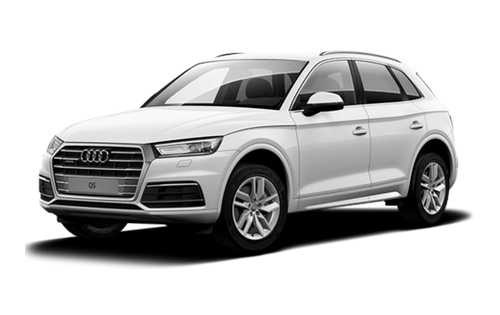 At Audi Langley, we are ready to help you find your Audi Q5 near Vancouver. With a vehicle as unique, stylish, and miles ahead as the Audi Q5 you need someone who can guide you to the right one. There are decisions to be made and options to be had and we know them all like the back of our hands. With our guidance, you can expect a stress-free and successful time finding a new vehicle. So, what are you waiting for? Come and see us today to get started with your new Audi Q5! As a proud member of the family owned and operated Gold Key Auto Group, Audi Langley continues a tradition of automotive service that goes back to 1976. For uncompromising luxury, there's nothing like Audi - and in Vancouver, Langley, and Surrey, there's no better source for Audi cars, SUVs, and crossovers than Audi Langley. Simply drop by any day of the week to discover what it means to work with BC's most responsive Audi dealership! Our automotive pros are dedicated to helping you enjoy your new or pre-owned Audi vehicle for as long as you own it - helping you get the best deal possible before signing, and providing comprehensive auto service for years to come. It's time to find the perfect Audi for you, so check out our online inventory and let's get started! You can find us at 5955 Collection Drive in Langley, BC, or give us a call at 877-753-9552. I had a great experience with Audi Langley! No pressure, easy, fair. I love my new vehicle. Highly recommend it. Excellent experience with a purchase of an S5. Sales person Joel Lau was top notch. Helped arrange for transportation to the bank so I could complete the purchase. By the time I got back my car paperwork, insurance and detailing were already in the works. Special thanks to Mo, my driver, had a wonderful conversation with him, he was awesome. Great service from Mehdi and the service team. Love the new Q7.